A cheerful stuffed toy sends birthday wishes to the young and young at heart. 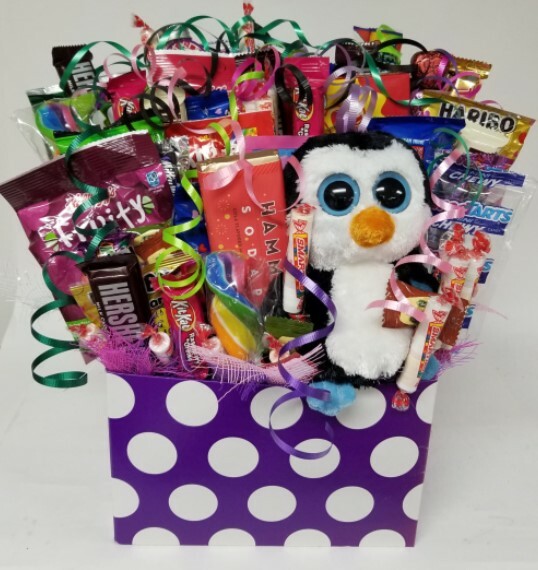 A variety of candies and candy bars arranged in a sturdy box will feed the sweet tooth of your loved one. Sometimes the simple gift is the best!